Binance is a cryptocurrency-only exchange founded in China, but now based on the Mediterranean island nation of Malta. The exchange promotes its stable, fast trading technology as well as the reassuring reputation of Binance’s founder and investors. Those benefits led to rapid growth in less than a year. Binance now ranks at the top of the trading-volume lists. High liquidity and fast execution across more than 200 trading pairs. Strong support for the Binance community. Leadership has experience developing high-frequency trading systems. No support for fiat currencies. Recent uncertainty over where Binance is based. Migration to decentralized exchange could create more risk. 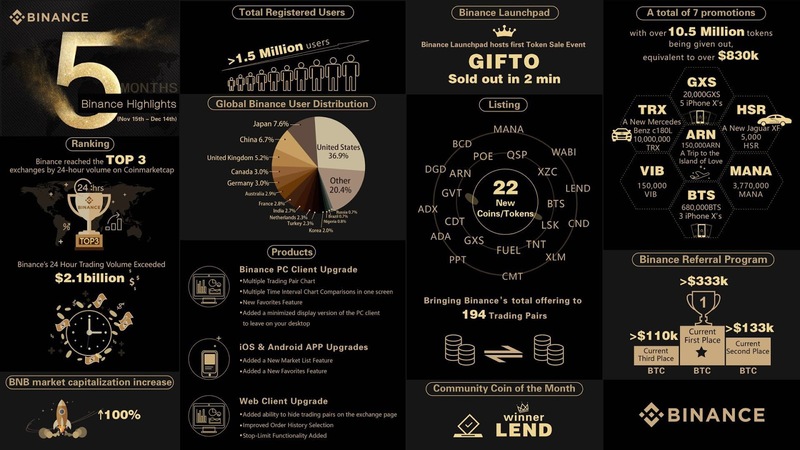 To say Binance’s rise has been meteoric would be an understatement. 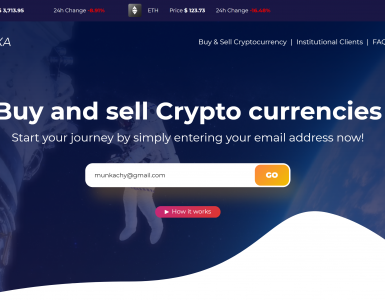 Zhao decided to launch a cryptocurrency exchange in June 2017. Within a week he closed the private angel round. Days later, Zhao launched an ICO for Binance Coins (BNB) and brought it to a close on July 3 after raising the equivalent of $15 million. Binance went live July 14 — only one month after Zhao started. A month-and-a-half later, more than 120,000 people had joined the exchange and generated 24-hour trading volume as high as $65 million. As 2017 came to a close, Binance’s user count had reached 1.5 million people who generated a record $2.1 billion 24-hour trading volume. Binance now has more than 110 coins actively trading on the exchange. By mid-March 2018, only eight months after launching, user count approached 8 million with 24-hour trading volume pushing past the $1.7 billion mark despite declining crypto prices. The user count and trading volumes would have been much higher had China not banned all cryptocurrency use in 2017. Unable to keep supporting its Chinese customers, who amounted to nearly 20% of the exchange’s customer base, Binance shut down its China operations in early September 2017. The sudden exit from China forced Binance to move its operations to Japan before getting regulators’ full approval. Bloomberg reported that Japan’s Financial Services Agency issued a warning to Binance on March 22 that triggered a 4.5% drop in Bitcoin prices. Born in China and raised in Canada, Zhao started his career developing trading systems for the Tokyo Stock Exchange and Bloomberg. Zhao returned to China in 2005 where he developed the world’s fastest high-frequency trading apps. 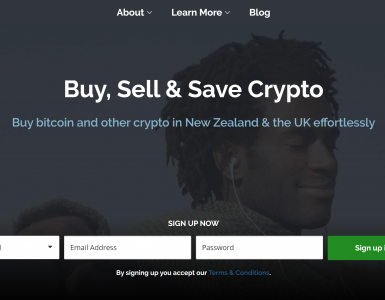 After stints working with Roger Ver and Ben Reeves, Zhao decided it was time to launch his own exchange. Binance’s huge success placed Zhao on the cover of Forbes Magazine in early 2018. The leadership structure at Binance is not very clear beyond Zhao’s position at the top. Binance does not discuss its leadership team on its site. Nor will you find much information on Crunchbase, LinkedIn or similar sites. Most of the team members listed in Binance’s white paper remained in China where they work for a Zhao-owned software developer, BijieTech. Ted Lin, Head of International Markets: Lin previously worked at electronics company Transcend Information and networked storage solutions company Infortrend Technology. James Hofbauer, Chief Architect: Hofbauer joined Zhao’s startup BijieTech after working for Palantir, the big-data government contractor. Previously, he worked at Fusion Systems with Zhao. Binance’s lead institutional investors after their only funding round are Black Hole Capital and Funcity Capital. Sequoia Capital also has a stake in the company. Prominent individual investors include Roger Ver, Chandler Guo, and He Yi. Binance’s recent relocations from Hong Kong to Japan and now to Malta demonstrate that respect for the regulatory process. Zhao left areas where Binance wasn’t wanted and helped Malta with their cryptocurrency policies. Zhao is still critical of the approach governments have taken to blockchain regulation. Zhao’s interest in decentralized exchanges, however, may still make Binance a target of regulators. Binance, Coinbase and other exchanges rely on a centralized model. Racks of servers run the software that execute the trades. Centralization lets exchanges execute trades in thousandths or millionths of a second. On the other hand, centralization means an exchange cannot guarantee anonymity or security. A decentralized exchange uses a blockchain to execute trades just like a cryptocurrency blockchain executes transfers. All of the trades executed on the blockchain-based exchange will be secure and pseudo-anonymous. But those benefits come at the expense of transaction speed. Blockchain miners can only process and synchronize a few hundred or a few thousand transactions per second. By comparison, Zhao’s trading software can process 1.4 million transactions per second. Zhao baked decentralization into the white paper that defines Binance, but focused his development efforts on the centralized exchange. In mid-March 2018, Binance announced its plans for a decentralized exchange. The Binance Chain “will focus on performance, ease-of-use, and liquidity” as a means to transfer and trade blockchain assets. The BNB itself will get upgraded to a native coin when it runs on Binance Chain. As mentioned in the History section, Binance financed its launch through its own ICO. Binance’s own token, the Binance Coin or BNB, is built on the Ethereum ETC-20 blockchain. The total number of BNB’s miners can produce is 200 million. Even then, Binance commits to using 20% of its quarterly profits to buy and burn BNBs. Keeping the BNB supply constrained will boost the coin’s value. The most common use-case for the BNB is to take advantage of the significant discounts on Binance’s transaction fees. Customers can also use the BNB when buying into the initial coin offerings (ICO) Binance hosts. Binance also protects its customers from fly-by-night ICOs. Teams only get to list their ICO’s on Binance after completing a detailed review process. In the Forbes interview, Zhao explained that Binance has only accepted 3% of the listing applications. Teams that overhype their product, don’t focus on development, and adjust their roadmaps frequently probably won’t get listed. Things that will get candidates rejected quickly include talking up the price of their coins, claiming Binance’s endorsement, leaking the Binance listing before trading starts, or offering securities. Binance protects its customers after an ICO closes. In his speech to the Blockchain Revolution Conference, Zhao explained that Binance only releases 30% of the funds. The team receives the remaining 70% over time as they hit pre-agreed performance milestones. Trading volumes on the VIA/BTC exchange spiked suspiciously during a two-minute period in early March. Binance’s automatic systems kicked in an froze all of the withdrawals. Hackers had spent the past two months using phishing attacks to collect user account information. They unleashed sell orders from all of these accounts which the hackers hoped to sweep up with their own pre-existing accounts. Thanks to automatic security systems, Binance’s customers did not lose any money. The hackers lost everything. In response to the attack, Binance offered a bounty of $250,000 USD worth of BNB to the first person whose information leads to the hackers’ arrest. To deter future hacking attempts, Binance reserved $10,000,000 to finance future bounties. Account holders can enable 2-Factor Authentication (2FA) on their accounts using one of two options. The most secure option uses the Google Authenticator app on either an iPhone or an Android phone. If for some reason you can’t use Google Authenticator, you can set Binance’s 2FA system to send an authentication code via SMS messaging. You have two resources to help with your Binance account. A self-serve support site provides detailed explanations of the Binance system as well as how to avoid or resolve common issues. If the support site does not have the answers you need, a ticket-based email system will put you in touch with Binance’s customer support team. Customers value Binance for its stability, security, and trading volumes. A rewards program encourages Binance users to refer new customers personally as well as through affiliate links and QR codes. For the first thirty days the new customer trades, the referral earns a real-time commission as the new customer trades. The referral commission starts at 50% of the trading fees, paid instantly. After a length of time that Binance does not specify, the commission falls to 20%. The commissions stop one month after the new customer joins. Binance and its listed cryptocurrencies regularly offer prizes. In early December 2017, for example, the eighteen traders with the highest TRX/BTC or TRX/ETH trading volume won prizes. The top trader won a Mercedes Benz C180L, the next six an iPhone X and the rest an Apple Watch. In 2017, Binance created the Binance Angels program. Volunteers from the Binance community help moderate conversations, guide new traders to get them up to speed on the Binance system, translate content and take part in beta programs. In exchange, Binance gives their Angels perks like access to meetups, limited edition gifts and exclusive access to Binance team members. Binance has customers in more than 200 countries and territories. China is the only country that cannot trade on the exchange. The exchange avoided the disruptions of the past year that came with the sudden influx of new crypto traders. Binance does not pick and choose its customers, but it does limit the number who can join each day. Binance supports nine languages in its web, desktop and mobile apps: Chinese, English, French, German, Japanese, Korean, Russian, Spanish and Vietnamese. Binance offers three verification tiers that determines how many Bitcoins you can withdraw each day. Creating a Binance account gives you Level 1 access and the ability to withdraw 2 Bitcoins a day. Level 2 access requires you to upload scans of your passport as well as a selfie with your passport and a handwritten message to Binance. 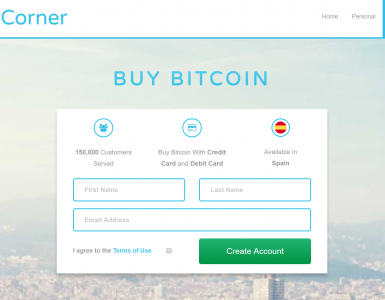 Level 2 account holders can withdraw 50 Bitcoins per day. A third tier has even higher limits and requires a special review process. Should you accidentally lock yourself out of your account, Binance will ask you to follow its photo-verification process. Raise beside your face a passport or other government ID with the picture and personal information clearly visible. At the same time, hold a handwritten note with the date and the words “please unlock my account”. Take a selfie and attach the image to a support ticket. The large list of cryptocurrencies, more than 110 actively trading, is a big reason for Binance’s popularity. The trading markets Binance offers are BNB, BTC, ETH and USDT. You cannot exchange or trade fiat currencies on Binance. Stop-limit orders were added in late 2017 for trades through the web app. Binance lets you manage your account and make trades through the web app, desktop apps for Windows and MacOS, as well as mobile apps for iOS and Android. The web app offers a basic and advanced interface. 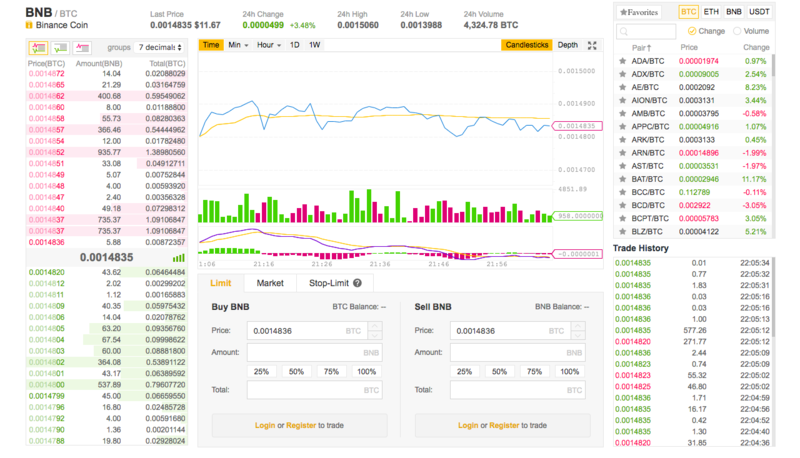 Experienced traders can use the Binance web app’s advanced interface to do more detailed analysis of price trends. Binance offers apps for both iOS and Android phones. The Android app has a solid 4-star rating in the Google Play store with 74% of the reviews giving the app 4-star or 5-star reviews. The iOS app has a 5-star rating, but from only 26 customers. Even when Binance’s customers give a positive review, they have some common requests for improvements. The app prices all of the cryptocurrencies in Bitcoins. Given the volatility of Bitcoins, customers would prefer to see the value of their assets in US Dollars or national fiat currencies. They would also like the ability to place stop-loss and stop-limit orders. As a cryptocurrency-only exchange, deposits and withdrawals follow the straightforward process of generating and entering addresses. Binance does not charge for deposits of cryptocurrencies. Several digital currencies charge network fees which Binance passes on to its customers. Ethereum withdrawals, for example, incur a 0.1 ETH fee. Binance applies a ten basis point fee on all trades unless you pay with BNB. In that case, Binance will discount the transaction fees on a sliding scale based on how long you’ve been with the exchange. You will get a 50% discount in the first year. Binance cuts the discount in half every year until the fifth year when it goes away. The Binance system will automatically use BNB for the transaction fee as long as you have some in your account. Every second Binance recalculates the value of the transaction fee based on the ratio of the crypto-bitcoin pair to the BNB-bitcoin pair. Binance’s sudden success is as exciting as the rise of the blockchain itself. With the backing of icons in the crypto community and a commitment to supporting new coin offerings, Binance is quickly establishing itself as a team driving cryptocurrencies forward. Regulation may be the only obstacle in its path. Although Zhao says Binance respects all regulators, the exchange’s recent wandering in the financial wilderness highlights how exposed cryptocurrency organizations are to governments. Binance offers a low-cost entry into the wider world of cryptocurrency trading. The exchange has a much wider range of coins and tokens to trade than more conservative exchanges like Kraken or Bitstamp. At the same time, Binance takes care of its customers who help on-board newcomers through the Binance Angels program. Binance was designed by developers who understand the world of high-frequency trading rather than bitcoin fans with coding skills. That background and the steady, rapid development of Binance’s systems have earned the trust of many high volume traders.